A few months back, Diadora started teasing the fact they were ready to drop something a little extra special for the Summer. 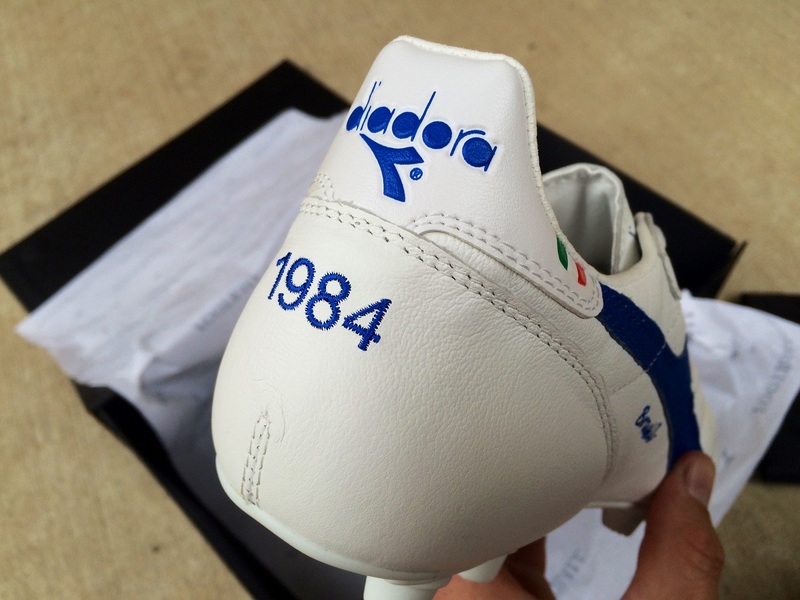 They were not messing around on this one, with the Diadora Brasil Italy OG hitting market in Early May. Right before release, we received a neatly packaged, special edition pair. Everything about the presentation and design is absolute top quality. Rather than your standard run of the mill release, this is a boot intended to announce the comeback of one of the market’s most iconic boots. 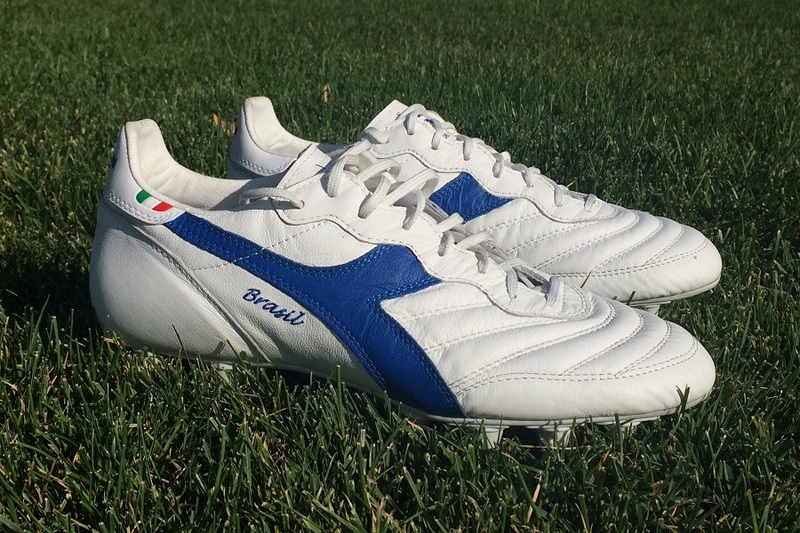 Built using the same manufacturing quality and materials as the original Brasil, this “Made in Italy” production evokes a real life connection to their namesake. How does that play out on field and do they represent value for money? At first, I was wary of testing them out; not because of performance concerns but because I didn’t want to scuff the glorious upper up. Selfish reasons! But I finally did, and I’ve been testing them over the past few weeks with the following results. If you want to secure a pair, find this colorway at soccer.com. From the box to the colorway, this is just a flat-out exciting release. 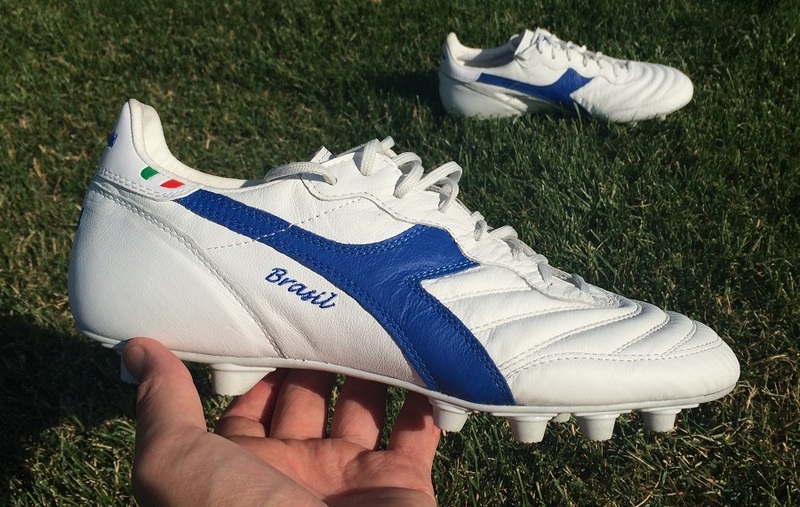 Diadora are ticking all the right boxes in an attempt to add a valuable new boot to the market. But given their price tag, performance needs to be rock solid in order to offer true value for money. Even with their retro style, I’m expecting a modern type of performance in play. 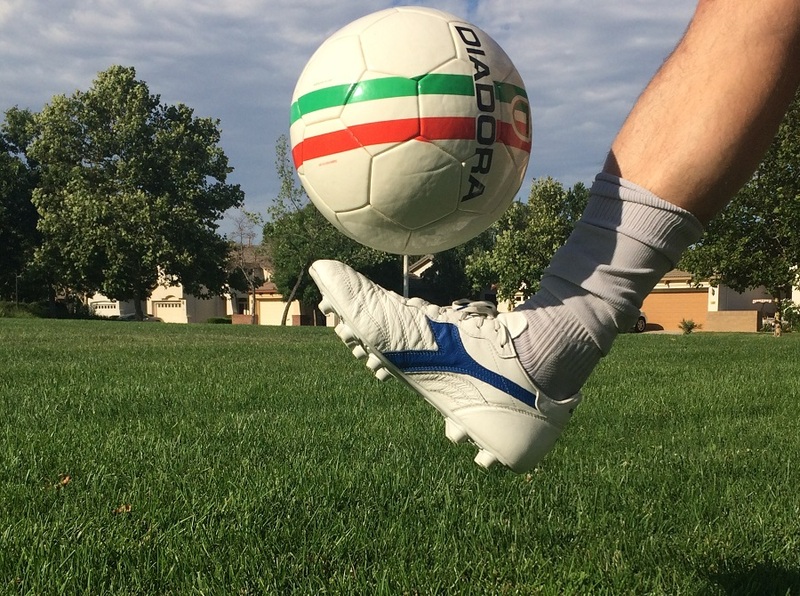 Traditionally, Diadora are a brand that has continually released very comfortable boots, ready to wear right out of the box. As you’d expect, especially when the boots feature a supple k-leather upper, the same is very much true here. Inside the boots, a hydro-tech microfiber is used as a lining on the leather and tongue to keep your foot padded and dry for a full game. I’m a huge fan of the tongue design in general, with a tidy ankle cut and a suede like feel underneath providing a little extra grip to keep you locked in the boots. I’ll talk more about the K-leather upper below, but know that it breaks in real easily and you won’t encounter any issues with it. The only area where there is some time needed is in the soleplate, where the material is slightly stiff starting out. As I point it out here, it is less to do with comfort issues and more to do with the fact that you need to allow the outsole a few wears to loosen up effectively and provide you with the most natural fit. Hand made from the very beginning, and that is a key aspect here, the Brasil is one of the few timeless classics that are always on the top of the quality list. Master craftsmen in Montebelluna, Italy use techniques that have long since been forgotten to create this golden slipper. What you get in return is one of the most comfortable, softest, and highest quality cleats you can find. 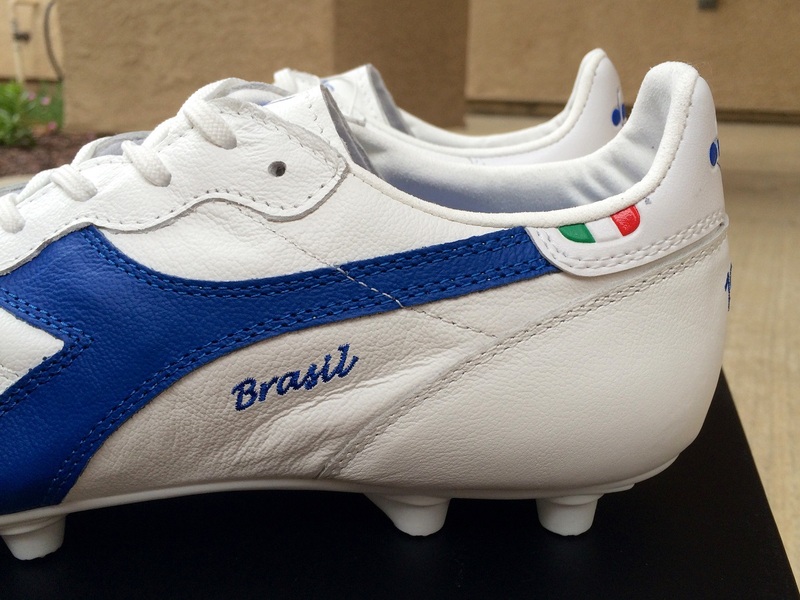 If you want to see the special edition presentation case and how the boots looked when they arrived, check out our Brasil Italy intro. Lets kick it off with the upper and its role in play. There is nothing overly complicated about the design, but they are deliciously handcrafted into something special. Diadora has taken a supple piece of K-leather and placed some double layered stitching through the forefoot to create a cushioned touch area. The stitching also allows the leather to stretch a little more naturally without over stretching – something that is very important with a boot like these. Each layered region also has a bubble style feel, where the material provides a little extra padding on the ball. Think Copa Mundial here as both boots are very similar in that regard. A single stitch that circumnavigates just above the toe box provides the one exception. So, how are they on the ball? Being that this is a more traditional style boot, you might expect that they’d be best suited to central style players with a defensive mindset. They are built to last, provide a little extra padding for getting stuck in on tackles, and basically fit a no-nonsense mold. But, I also feel they have plenty to offer attacking style players. We are not talking quick, pacey wingers here but more about players in need of a reliable striking boot. The construction of the forefoot provides a great region for striking clean shots without feeling the full impact. The central lacing system does run pretty low on the boot, so it is not quite the perfect strike zone, but it is clean enough to give you a nice area to focus on connecting with the ball. As you dribble with the ball, you get decent feel, but the role of the stitching is to allow for some padding and this does take away from what you might call natural touch. There isn’t a great deal else to hit on here, this is a simple release that it is built well and functions just as you’d expect. Nothing about the performance stands out as mind-blowing, but it is definitely a step above the norm. 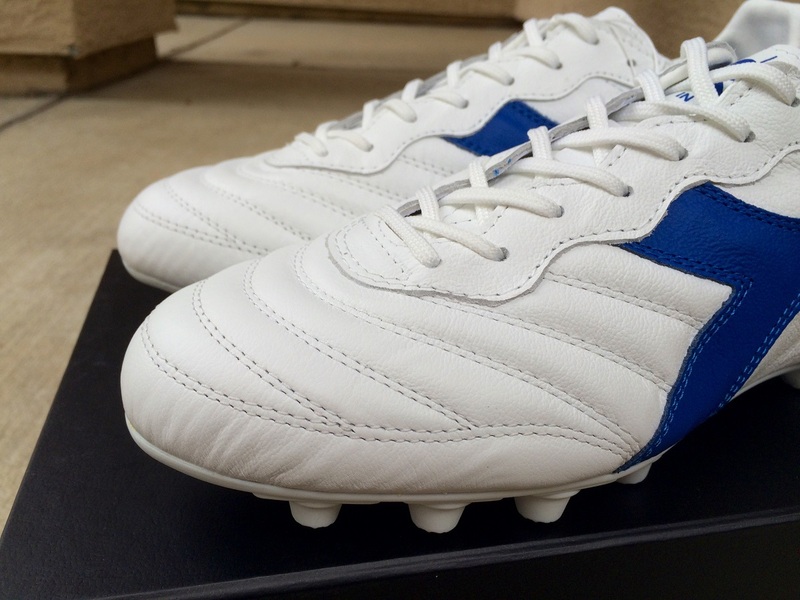 As you’d expect with an old school remake like these, the soleplate holds a traditional feel. 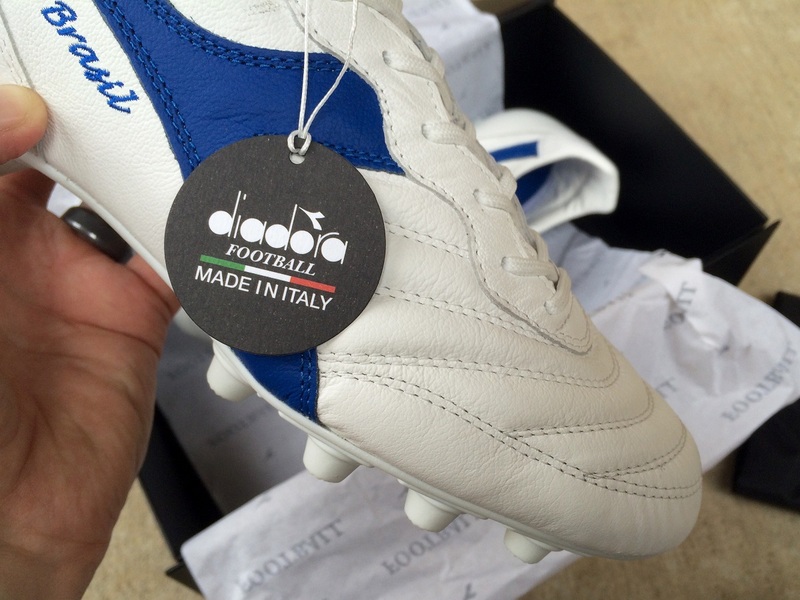 Think of a soleplate you’d find on a pair of Pantofola boots, Ryal, or even the eternally classic Copa Mundial. Well, this is the style found on the Brasil Italy, with a comfort outsole and 12 fixed conical studs helping to make every turn and touch stable and fixed. Whether you play on AG of FG, this is the type of soleplate that provides reliability as you play. You stay well grounded, with the multiple studs ensuring there is little slip unless you plan on wearing them on soft ground. But there is also a slight break-in period to go with the older style design. This has less to do with comfort and is more related to allowing the best type of performance as you play. You won’t encounter too many problems if you take them out of the box and into game, but the general flex won’t be as natural. Through several wears and with your own natural foot movements in play, it becomes more personalized to your style with the right bend where you need it most. The term I’d use to describe the fit is “natural”. Right around the foot they are form-fitting, very much a snug style boot with the benefit of having a super soft leather upper that mimics your foot shape over time. Up towards the toe, they have a little extra space. I’ve debated a little over whether to recommend a half-size down in size, but I’m still on the fence. They provide about a finger width extra as compared to a true to size, so basically, if you want a complete snug fit, go down a half-size. But if you prefer a little extra room so your toes are not pressed up against the front of the boot, stay with your normal size. Width wise, they are a medium-wide fit that should accommodate a wide variety of players thanks to a little extra stretch from the leather. As far as this review goes, I think this might be the most relevant section. I’ve said this numerous times (including earlier this week) but any pair of boots over the $200 mark is not going to offer true value for money. These are listed at $270, such is the market these day. As I said when they were released, the one stumbling point here will be price. 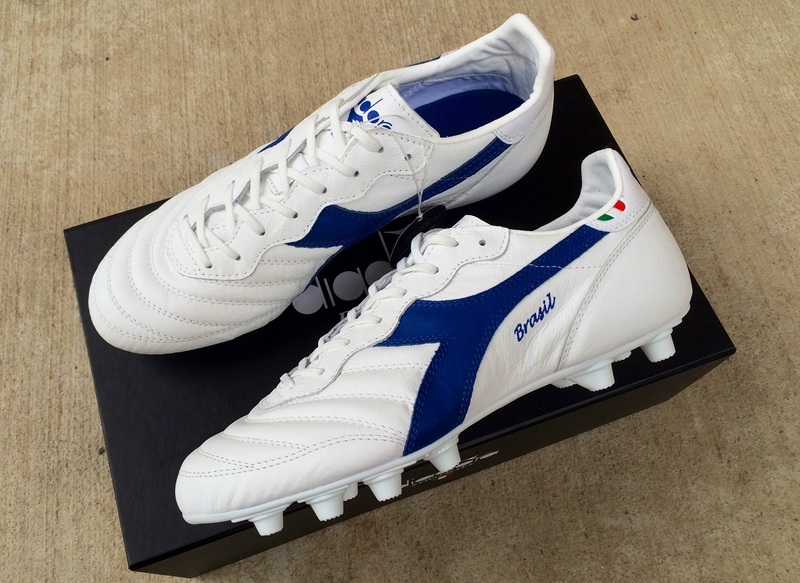 Diadora has done an exceptional job of putting pure quality into everything these boots have on offer. The box, paper wrap, boot bag and the boots themselves are pure quality. We are somewhat devoid of true classic boots on the market right now, so there is huge potential from a release like this. Having a number of players willing to drop so much on a pair might prove slightly more challenging. Lets keep this part simple – from a performance perspective, just note they are designed to be more of a traditional style boot. So if you like your Ronaldo tech specs and Messi design elements, they are probable not in your wheelhouse. They weigh in at 10oz, which considering current day releases is actually on the heavier end. In other words, it is a full-bodied release. There are several colorways in the series currently available, check out the full line-up at soccer.com. Highlight: Beautifully crafted remake from Diadora, made in Italy and designed with a supple k-leather upper. Also impressively packaged. Would I Buy Them: A solid release and one that is welcomed to the market, plus they have the benefit of durability, but at the list price they wouldn’t be my ideal option. Player Position: Ideal for defensive style players, holding mids and attacking players that want a full-bodied boot to strike shots with. Comparing it to Mizuno MIJ line up, which has a higher quality leather ? To the touch, these are more old school supple. But they feature a lot of stitching to create that bubble style effect. MIJ always seems like a modern upgraded type of leather to me. 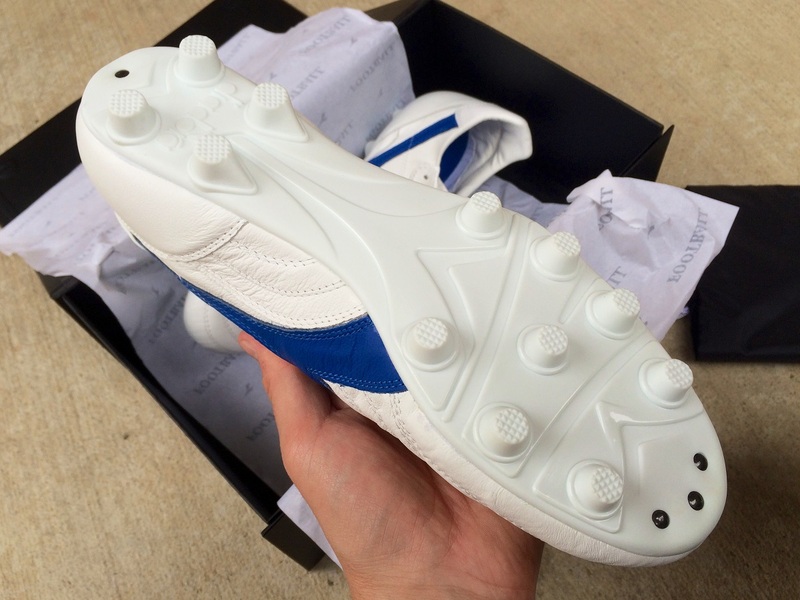 How is the width compared to other heritage boots like Mizunos, Asics? Got these exact shoes today on soccer.com for 100 bucks, with the help of the flash sale plus a $20 off coupon. This review totally helped, thanks! Thanks for the positive feedback, you got some good boots at a great deal! Hello, great review. I was wondering what size to get these in, I wear a size 9.5 us on my Adidas Kaiser 5 but after breaking them in the fit was a little more on the lose side, I usually wear a double sock to make it feel snug but I would rather much wear a single sock.